Skipperdee’s opened eight years ago it as an idea where family fun would reign supreme. We moved from our original location to expand into a larger space a few years ago and have grown in leaps and bounds. In 2017, the Long Island Press awarded Skipperdee’s the title of Best Ice Cream Shop on Long Island after 680,000 votes were tabulated. Where is the best place to scoop up an ice cream cone, sundae or cake? 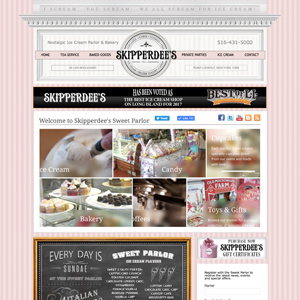 Look no further than Skipperdee’s in Point Lookout, which won the title of Best Ice Cream on Long Island in the 2017 Best of Long Island competition. This is probably Long Islands best kept secret...until now! Walking in you're graciously greeted with a wall & counter of candies. Then you start to notice to awesome, retro decor which bring your back to a better & happier time. WOW!!! Shannon & Richard are magicians! I walked in for a cup of coffee and thought I was in Alice in Wonderland. The best ice cream! 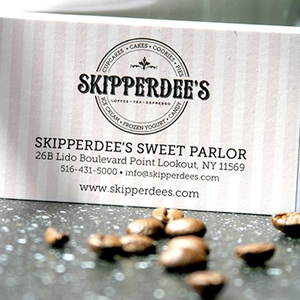 I scream, you scream, we all scream for Skipperdees!! !